Allegations of sabotage at power stations are being investigated, President Cyril Ramaphosa said. The president on Friday spoke to Cape Town residents, during a campaign for the ANC ahead of the national elections to be held on May 8. According to a statement from the ANC, Ramaphosa addressed concerns of load shedding. "A suggestion of sabotage has been made and investigations are underway. But at the same time, we've got to stabilise the grid," Ramaphosa said. 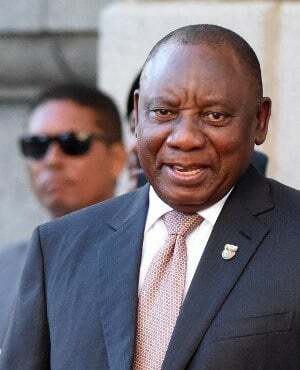 According to the statement, Ramaphosa was informed by Public Enterprises Minister Pravin Gordhan that the power line from the hydropower plant, the Cahora Bassa dam in Mozambique, was restored. SA imports 1 500 MW from Mozambique, but lost as much as 900 MW, due to the cyclone in the region, Eskom spokespeople previously said. "We are addressing the Eskom issue every day. I'm saying to the whole nation: let's not panic, let us join hands, close ranks and work together," the president said. He assured those present that the electricity crisis is being addressed on an urgent basis. "There is nothing much more urgent than restoring the power," he said. "In the end, we want an election process that will not be weakened or interfered with or interrupted by load-shedding. So we're pulling out all the stops to address those issues," Ramaphosa added. Eskom implemented Stage 2 load shedding on Friday from 09:00 and it is expected to continue until 23:00. The power utility received diesel transfers on Thursday, which are needed to power open cycle gas turbines. Open cycle gas turbines are used when coal generating units are down, Fin24 previously reported.